On Thursday, April 28 2016, Broadspectrum (BRS) requested that trading in its shares on the Australian Stock Exchange (ASX) be halted pending the release of a statement by BRS. According to the most recent report, Ferrovial is extending its takeover offer until May 13, as it aims to get at least 90% of buy-offers accepted by that date and will, upon doing so, de-list Broadspectrum from the ASX. Allan Gray is Transfield Services’ largest investor, with a stake close to $100 million, as reported three days ago. That figure wiil have diminished recently, with the decline in Transfield Services’ shareprice. Allan Gray is a global investment fund that originated in South Africa and is presently registered in Bermuda. It is also the second-largest shareholder of Fairfax Media. It is part of the Orbis Group. On August 17th, Transfield Services (TSE) issued a statement to the Australian Stock Exchange (ASX). This statement was not a media release but a compliance report in line with stipulations of the Corporations Act and ASX governance rules. 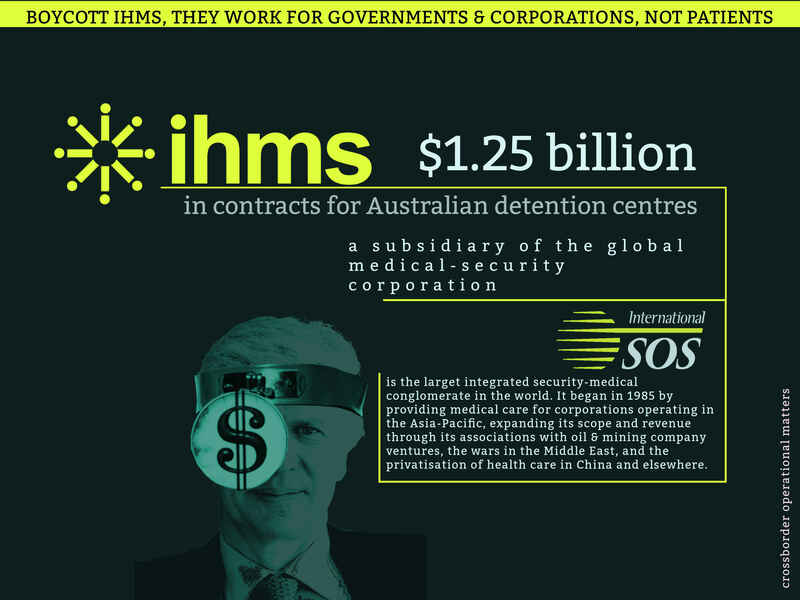 Transfield’s $1.2 billion contract to run the detention centres on Manus and Nauru is set to expire on October 31st 2015. As a consequence, there is a great deal of maneuvering going on, most of it behind the scenes. Let’s be clear: for Transfield and rival bids, the stakes are billions of dollars in contracts — not people’s lives. Low resolution version. See below for link to hi-res version.